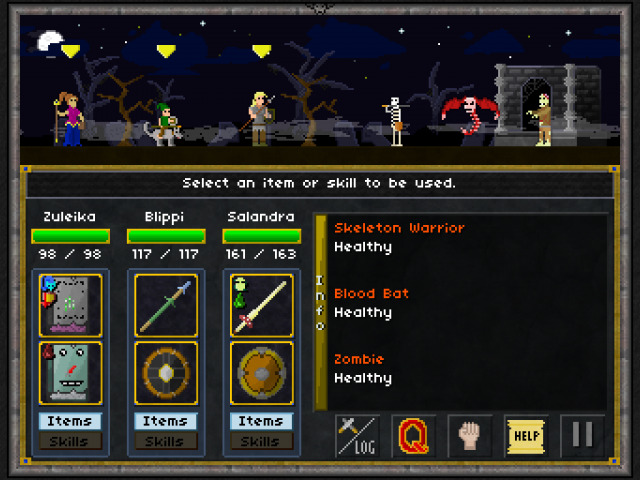 RPGs on mobile are almost always marred by one single flaw: freemium gameplay design. Most of the times, these RPGs employ a nickel-and-dime tactic, consciously slowing the game to pierce through the players' impatience, and unto their wallets. 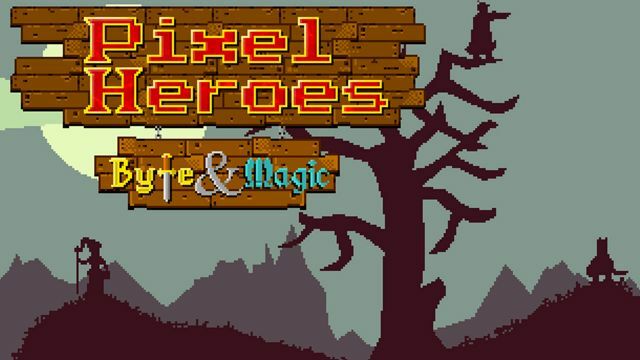 Pixel Heroes: Byte and Magic has an upfront cost ($6.99), and because of that, the gameplay is already ripe, polished, and respects its players' time. There are no slow-prodding progress bars, staminas, and all of those pay-to-win whale hunting schemes. The game is difficult, since it uses the roguelike structures. Your party gets killed, you begin again from where you started. In the beginning of the game, you choose heroes in a bar, different jobs of different race, different skillsets, different strengths, different weaknesses. I have tried so many combinations, and I should say some are more effective than the other. Certain combinations are great, some are not just good, even horrible. 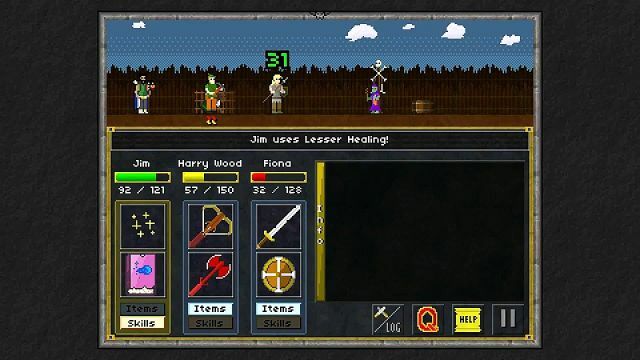 This is a dungeon-crawler multi-party turn-based RPG. And it does dungeon-crawling, turn-based combat, and role playing to their finest. Base gameplay is just ridiculously good, you could have paid a higher price and not have any sorts of complaints. Longevity of this game latches on your patience, and your skills, that is for sure. Yes, turn-based RPGs are thought to have minimal skill required since all you have to do is wade through the menus, choose the highest damaging spell or skill, and you are done, no questions asked, no answers required. In this game, you have to shuffle things out, find the synergy between classes, read through the skills, look at its special effects, and of course, the constant item management. Once you enter the dungeon, it's go big or go home. No shopping, no checkpoints, only your party stands before death and success. The graphics of this game, obviously, retains the old school pixelated aesthetics. And this is SNES level, not NES, so you will see great details. The art is really amazing, because of the said details, you can see the difference between the priest and the other soft magic weilding classes. The music, though, amazing, gets repetitive in the long while. Well, that is not a flaw that is directly related to its quality, it is just that, remember, this is a roguelike game, you are going to repeat the game over and over and hear the same music and gameplay. But that will be your only complaint, since repeating will give you a unique experience and that is even if you use the same heroes in your succeeding playthroughs. Being roguelike, there is always the randomness of things. Such is necessary for the variety of experiences, however, this will also be a negative in some cases. For example, the boss you will encounter suddenly has one-hit KO attacks to all party members simply because you were not ready. This was not the same boss you had an hour ago, this monster is not the one you thought of when trying to upgrade your heroes' equipment, you were not ready, and isn't that beautiful? You might have equipped and upgraded towards a certain path, but that path is not what you will take all along. You will not be "lucky" you survived a certain battle, because for sure, it will get tougher, and much tougher the longer you play this game. As it stands, the game is humorous enough to keep you entertained. It is self-aware and littered with references, but that is how far it goes as a post-modern piece, the gameplay is classical, traditional, polished, and well-thought. The pacing is wonderful, you get new heroes as you progress, keeping things fresh and floating. The gameplay itself is great that repetition does not equate exhaustion. The classes has unique spin on them and there are even biographies. If quality is what you want, you will have it here, but it won't be easy, and it's always worth it. Description Welcome to Rise of Heroes: .. Description ***WARNING: NOT RECOMMENDED ..
DQ Version 1.4.4.1 Fixed an issue several ..
DECEPTIVELY SIMPLE. INSANELY FUN. Pick ..